Edited from original 2016 post, updated for 2018 National Public Health Week. As we have discussed in our previous National Public Health Week blogs, breastfeeding is the biological norm. However, we have also always faced biologically abnormal situations such as physiological and medical barriers to breastfeeding, premature birth, stillbirth and neonatal death. Historically, the normal, biological and social response to abnormal situations has been milk sharing in families, clans and communities and wet nursing, in which a woman is paid to nurse another baby. This sharing, particularly wet nursing, has also been regulated to address medical and ethical concerns. In addition, animals, including humans, sometimes feed their babies milk from another species. In emergencies, such as maternal death and when no alternative existed, babies would be fed milk from another animal, often a goat. Today, of course, cross species feeding is common, usually formula is modified milk from a cow, or a soybean. Physiological and medical problems such as illness, medications (including chemotherapy), breast abnormalities (including mastectomy), maternal death can compromise a new mother’s ability to breastfeed. Women have had trouble breastfeeding since there have been women, breasts and babies. If only 1% of US mothers had a physiological barrier to breastfeeding (a low estimate), then 30,000 mothers a year would need some other way to feed their babies, at least partially. It is important for our society to support mothers who have these barriers to breastfeeding, through support for partial breastfeeding when possible, milk exchange, and, when necessary, cross species feeding (with formula). Prematurity: Biologically (read evolutionarily), babies born very early often did not survive, so there was little reason for mother’s body to produce milk. Family stories abound of a great grandparent’s grandparent who was born at 2 or 3 pounds, spent the first months if his/her life tucked into a sack on mother’s chest and fed mother’s milk with an eye dropper. These stories of dedicated (and lucky) parents and robust babies are heartening, and exceptional. Today, advances in medicine allow many extremely premature babies to survive and thrive. These babies spend months in the NICU, a decidedly un-biologically normal place, and away from their mothers with whom they should be symbiotically attached. What is normal for babies who should be in the womb and receiving life support through the umbilical cord for another 2 or 3 months? Medical research and family lore tell us that kangaroo care and mothers’ milk, fortified as necessary with additional protein and other nutrients, form the environment closest to normal, even for very premature babies. Stillbirth/Neonatal Death: When a baby dies, the mother continues to produce milk until her brain sends messages to the breasts that there is no baby to feed. This can take days or weeks, and can be physically as well as emotionally painful. Historically, bereaved mothers have used medications and herbs to slow their milk supply faster and more comfortably than may occur naturally. They also sometimes nursed other babies, providing emotional comfort and physical relief and helping another baby and mother. Today, bereaved mothers often donate their milk to a milk bank, comforted with the knowledge that their milk will help other babies to survive. For millennia, social norms have addressed biologically abnormal, but very real and always present situations, through human milk exchange, and cross species feeding. Breastfeeding is the biological norm. When faced with biological abnormalities, we seek social and biologically viable and life affirming alternatives. 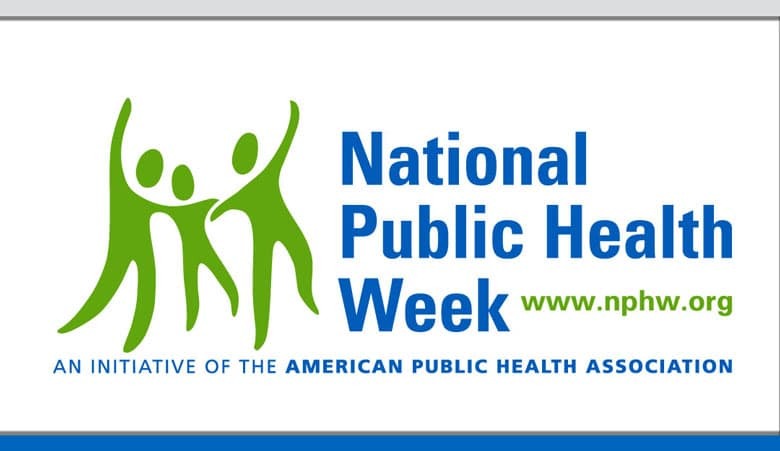 This year, National Public Health Week is from 2-8 April 2018.